My earliest memories of travel involved being on 12-hour transpacific flights between Hong Kong and Canada. I will always remember the wonder of embarking on a Boeing 747 as a 7 or 8-year old – the sheer size of the cabin, the ginger ale that my siblings and I drank to stave off motion sickness, and the endless card games we’d play to pass the time. I remember the excitement at the prospect of each trip abroad, and the immense anticipation we all felt as the engines roared shortly before takeoff. 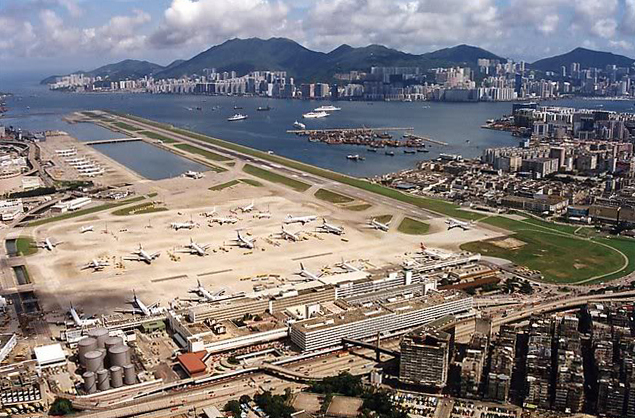 At the time we’d fly in and out of Kai Tak, the most congested single-runway airport in the world. It was known for its near-impossible landing approach that severely tested the skill of all airline pilots. Despite all its faults I have very fond memories of the place – its dramatic location right in the middle of the city was unmatched and it was always a thrill to arrive or depart from the airport. Oftentimes we’d fight over the window seat to get the best view of that wondrous tableau below us: steep hillsides, curving highways, high-rise housing estates and the blue-green colour of the sea. By night it was just as beautiful – the city shone like some sort of compressed constellation on both sides of the dark harbour. With each journey across the ocean, travelling became an inseparable part of my childhood; I grew up mainly in Hong Kong but virtually every summer was spent with family in Canada. We traveled so frequently that 12 hours soon became the standard by which I measured all flights and distances. For me Kai Tak came to represent my family’s intercontinental lifestyle: rooted in the heart of Hong Kong but with its runway pointing towards the harbour’s eastern entrance and the distant lands beyond. It was something of an idyllic existence for a child who didn’t quite understand the necessity of travelling and the reasons for doing so. Much has changed since then. Kai Tak has been closed for over 10 years now, and I find myself 6000 miles from home, on the far side of the Eurasian landmass; living my everyday life but always mindful that there is a whole world to explore beyond this rain-soaked island. A little ironic, considering that I arrived here 4½ years ago to do just that. Plus Ultra, which is Latin for “further beyond”, was the motto used to encourage Spanish explorers to venture beyond the limits of the known world and seek out new lands and exploits. Even in modern times the phrase remains the national motto of Spain, and is featured on both her flag and coat of arms. For me it perfectly encapsulates the spirit of discovery that comes with travelling – in exploring you learn not only about the wider world but also yourself and your place within it. So there you have it: the beginnings of a blog on travel, culture, history and geography – all through the eyes of a curious individual with a perennial case of wanderlust.